The Bayantel offers now a new Bayanbroadband best for Home use, compatible to all operating system with unlimted subscription plans. 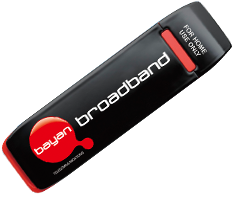 BayanBroadband is wireless, no more cables needed. The application fee will cost PhP 1,499 at one time fee . Please call 497 3000 for application inquries. I wish it could be available to Davao soon. Have Fun!